Mumbai: Ranveer Singh starrer Simmba has collected 20.72 crore on its first day at the box office beating Padmaavat to become Singh’s bigger opener yet. According to trade analyst Taran Adarsh, Ranveer Singh’s Simmba earned 20.72 crore, Padmaavat 19 crore, Gunday 16.12 crore, Goliyon Ki Raasleela Ram Leela 16 crore, Bajirao Mastani 12.80 crore on the opening day. A Rohit Shetty directorial, Simmba also stars actor Sara Ali Khan, daughter of Saif Ali Khan and Sonu Sood. 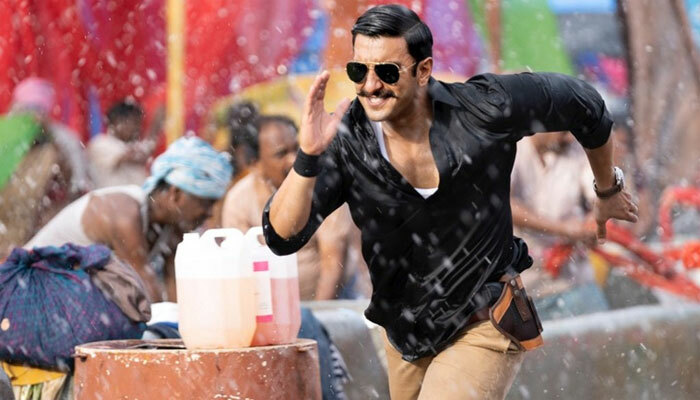 Ranveer Singh had earlier termed Simmba a complete entertainer and his biggest film. The Hindi remake of 2015 Telugu film Temper, Simmba, marks the first collaboration between Ranveer Singh and Rohit Shetty, is jointly produced by Dharma Productions and Rohit Shetty Pictures. The film is written by Vakkantham Vamsi and it hit the screens on December 28.